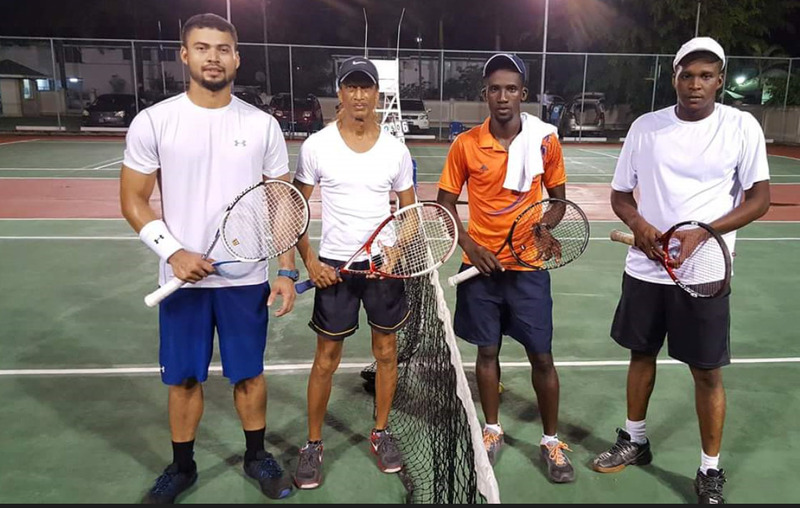 Defending Guyana Bank for Trade and Industry (GBTI) Open singles champion Anthony Downes and veteran Harry Panday won the GBTI Jubilee Open doubles competition defeating youngsters Leyland Allicock and Nicholas Fenty in straight sets in the final. Competing together for the first time in this year’s competition, Downes and Panday in winning the title, 6-1, 7-5, produced a sizzling demonstration of class, technique, skill, ability and unbelievable passion as they made light work of the two youngsters. To the delight of the crowd, Downes/Panday played as though they were giving lessons to a group of first time players in the first set. L-R winners Anthony Downes, Harry Panday, Leyland Allicock and Nicholas Fenty. However, determined to not bow out without a fight, Allicock and Fenty returned in the second set and fought with everything resulting in a more formidable challenge. Panday, who has never won a doubles title in his 32 years of playing tennis, admitted that since being coached by Downes, he has improved his game. He said that Downes is very effective in the strategies that he has implemented throughout the competition. “Some of the categories that I got eliminated in and I am confident that had I utilized the game plan that Anthony had given me that I would have won more titles,” he opined. He said that he is motivated by the win and has no plans in calling it quits anytime soon. “I will be back next year and am sending a warning that I will be much fitter and stronger as I will continue to train very hard for my games,” he said. Downes, who is favored to retain his title thus stretching his unbeaten title defence record, showed those in attendance why he is seeded as the number one player. He demonstrated that his masterful, stinging shots are still the best and he continues to eliminate his competitors with relative ease. So good has his form been that many has expressed the view that he has outgrown the local competition thus the need for him to compete in much higher standards of competition. He, however, credited his success to an aggressive, continuous, diligent, disciplined workout which he said has been ongoing for everyday of the week for the past several months. The doubles final, which was played in front of a disappointingly small crowd, saw those in attendance getting value for their time with some exciting and fantastic tennis from both Panday and Downes. Afterwards Downes reiterated his plan to venture on the international scene next year. 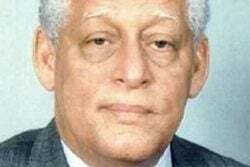 He disclosed that he will be campaigning in the Caribbean, South and North America noting that he is confident that he is ready for the ‘bigger boys’. “I am ready and this is my last local competition for this year as I plan to go internationally therefore I will be doing a series of camps in the Caribbean, South and North American territories. It’s time for me to showcase my skills to the world,” a confident Downes said. 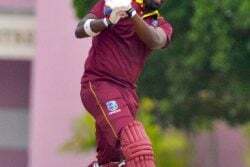 Quizzed on whether his plans will result in him not being able to compete anymore locally, he said that he still intends to be a force locally in competitions at home. 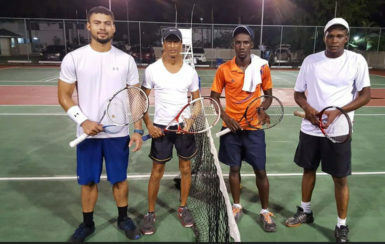 He said that his decision to train was in an effort to further promote Guyana in the area of lawn tennis. 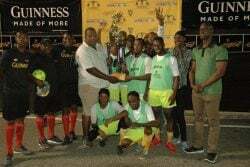 Downes, who once dominated the Caribbean in the junior category declared that he has returned to form and is ready to seriously compete internationally. “I am more focused and ready for competition as I have been training diligently every day as discipline, significant training and a focused approach is critically important to continued success,” he said.